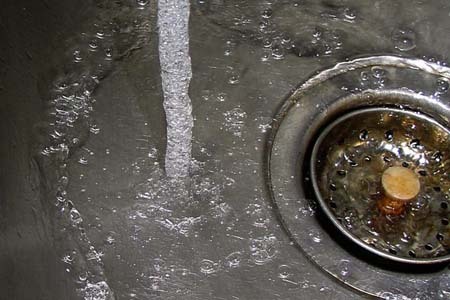 A clogged drain is a real reason for concern for any homeowner. In addition to not having the ability to use the sink, it can produce noxious odors that permeate the home. When experiencing a problem with plumbing, consumers must find a company offering drain repair in Tameside. When you call ASA Plumbing, a drain cleaning expert will arrive with the necessary equipment to provide a solution. The technician will evaluate the problem and determine the best course of action to fix the problem. Service companies will send a professional any time of the day or night. ASA Plumbing will always choose the least invasive method of clearing the clog. This will speed up the repair process. ASA Plumbing operate 24 hours a day and will allow you to schedule an appointment at any time and eliminate the need to wait around for service. Most plumbers cannot offer this service! A drain survey using closed circuit TV equipment involves placing a camera into a sewer line or drain to analyze its condition. Skilled engineers have the experience necessary to assess the damage or blockage and provide solutions. ASA Plumbing provide high pressure drain jetting in order to clear blockages in any part of the system. ASA Plumbing have all the best machinary and equipment for a perfect solution to your drain repair in Tameside. All plumbing systems require flushing eventually to clear a blockage or prevent one in the future. Residue build-up or something stuck inside the pipe can cause a clogged drain. ASA Plumbing provide drain repair services in Tameside, Greater Manchester and all surrounding towns and cities. ASA can repair ANY drain! Rates are very low in comparison with other drain repair companies in the area, so contact us for a quote.